Earlier this week, my friend Kristin jogged my memory about the existence of Joy the Baker’s blog, a beautiful and inspiring food blog. I’ve been a fan for a long time- not only are her pictures beautiful, but her writing is so refreshing. Somehow she fell off my radar (likely because there’s so much noise on the internet these days- it’s hard to keep track of the good ones). I am grateful that she’s back on it, hopefully to stay. 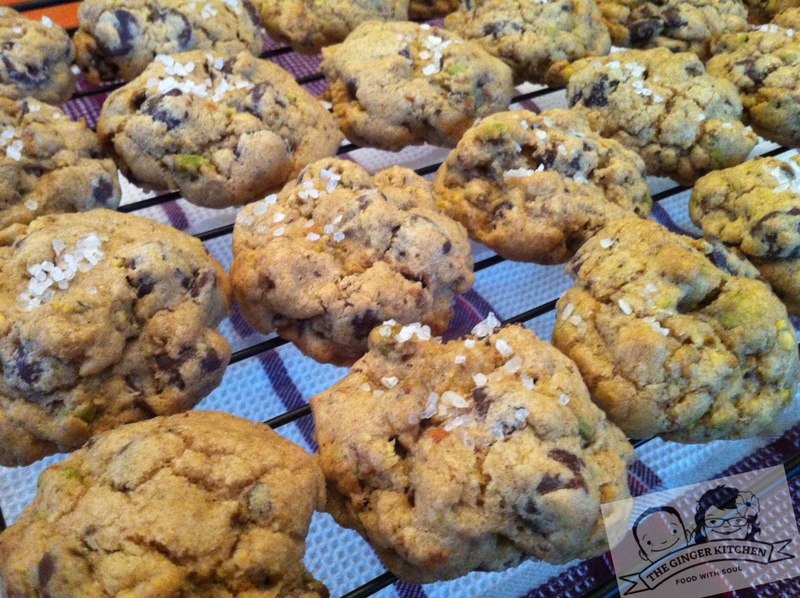 Browsing her site, I was inspired by many of her creations, but a recipe for Dark Chocolate Pistachio Cookies seemed as if it were written for Jon. He loves a good grown-up cookie and the flavors in this recipe are very mature. It calls for smoked salt, but sadly, I was unable to find any at our local grocery so I used sea salt instead. They turned out very well, but I am interested in trying them again with the smoked salt. Joy describes the flavor like a campfire in your mouth… not sure if I’d like that or not, but it’s worth a try. Luckily, my friends at the Great American Spice Company have it in stock. I absolutely love the texture of these cookies. They are loaded with dark chocolate and pistachios, so eat bite contains a nice crunch. I expected them to flatten out like Joy’s pictures show, but mine stayed thick and chunky. I think I prefer them that way. For the full recipe, visit Joy the Baker’s blog.